‘Creātūris’ (as in Latin for Creatures) is an ongoing Thesis collaboration of interactive holographic projections between Carlos Enciso and Dakota Hopkins. This experience lives in the form of a gallery installation that invites viewers to interact and control the experience. The standing structure allows for a 360º view. 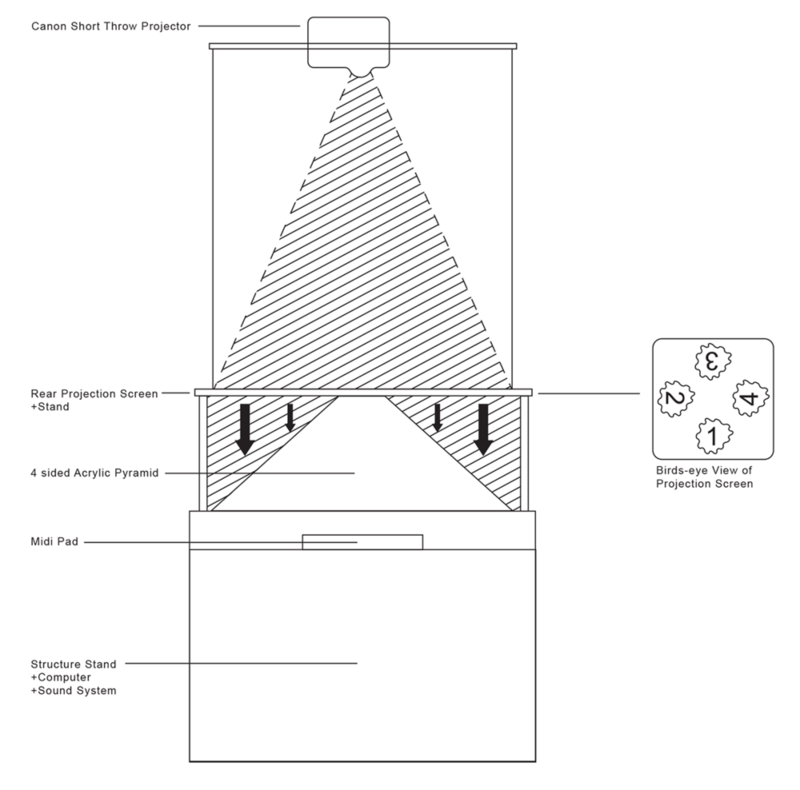 Utilizing the Pepper's Ghost optical effect on a translucent pyramid, we created the illusion of a hologram. Within that medium we also explored organic modeling and animation. The juxtaposition of organic creatures within a geometric structure worked well and gave our piece a digital zoo type of vibe. With looping animation and sound, this is an interactive holographic experience in multiple dimensions that you can walk around and see the creatures come to life. The animation and sound are controlled via the user's inputs on a midi control pad. A projector is hung at the top of the structure, projecting on a semi-transparent screen. The projection is then reflected on each side of the glass pyramid, creating each angle that the creatures are seen and experienced from. Walking around the structure provides a surrounding view of each creature animation.